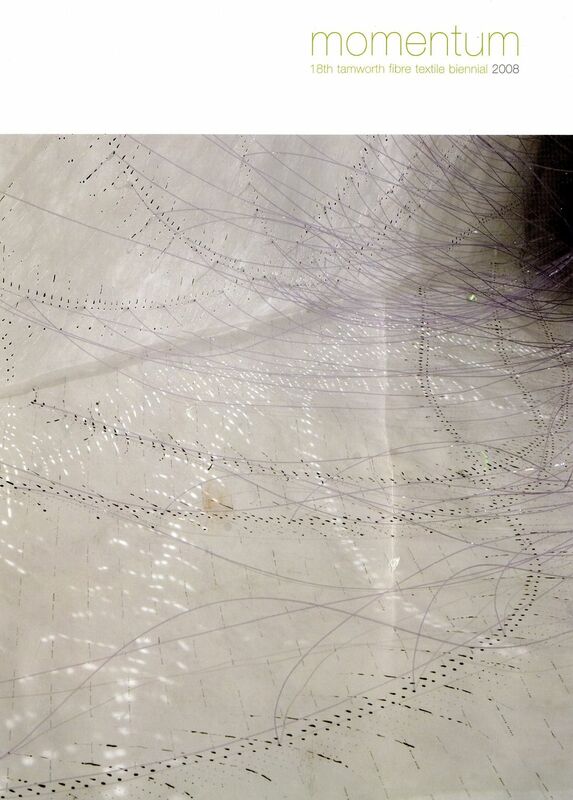 Shadow Lace was exhibited in the 18th Tamworth Biennial: Momentum curated by Valerie Kirk, Head of Textiles at the Australian National University. The theme for the Biennial was the gathering of momentum and ideas in response to evolving current technologies in textiles. Shadow Lace explores the notion of linking people to historic ties through the integration of memory, pattern and technology. Encoded in the process is the tradition of a textile history that is continually responding to creative technologies that evolve within each age. Technologies such as direct digital printing have been integrated with traditional hand screen printing processes and machine stitching to explore future lace expressions. The work was acquired by Tamworth Regional Gallery as part of the Tamworth Fibre Textile Collection that dates back to 1975. Materials: Organza silk, digital printing, silk screen printing, machine stitched onto a soluble substrate.